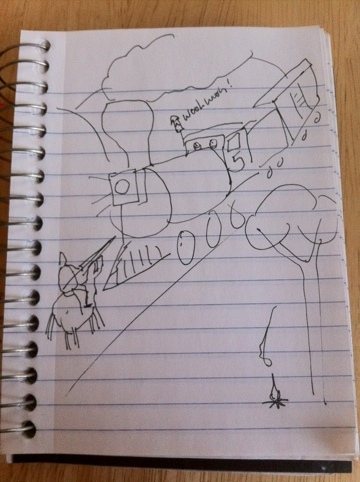 At first, my son couldn’t understand the idea of someone fighting a train. But, I asked him, how would you describe a train to a friend if you had no knowledge of modern technology? What if you didn’t understand machines and motors and steam? What if your only way of understanding something was to call it a monster? How does our own understanding of the world affect what we experience?